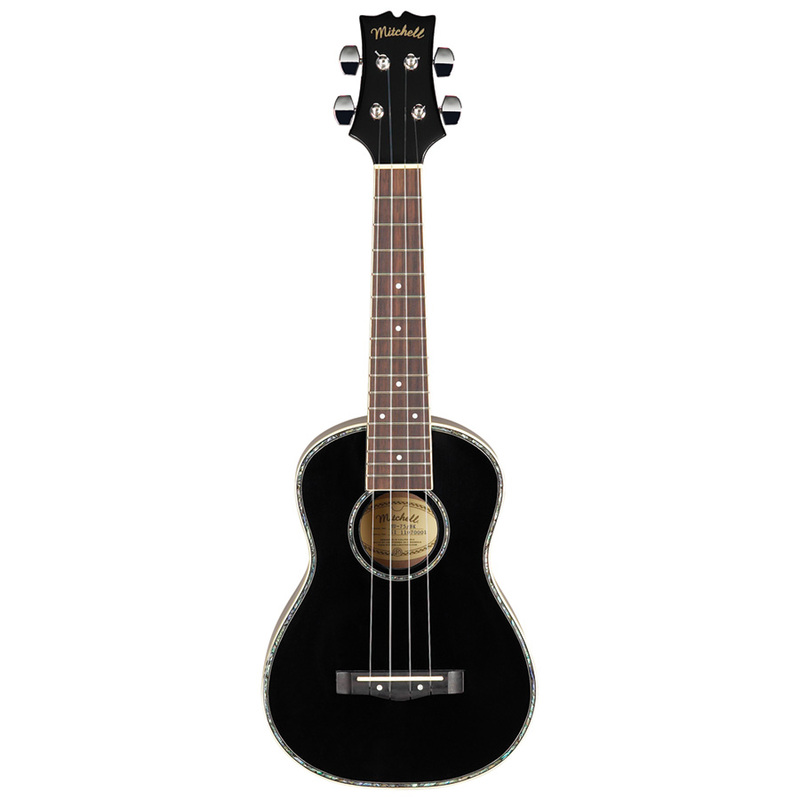 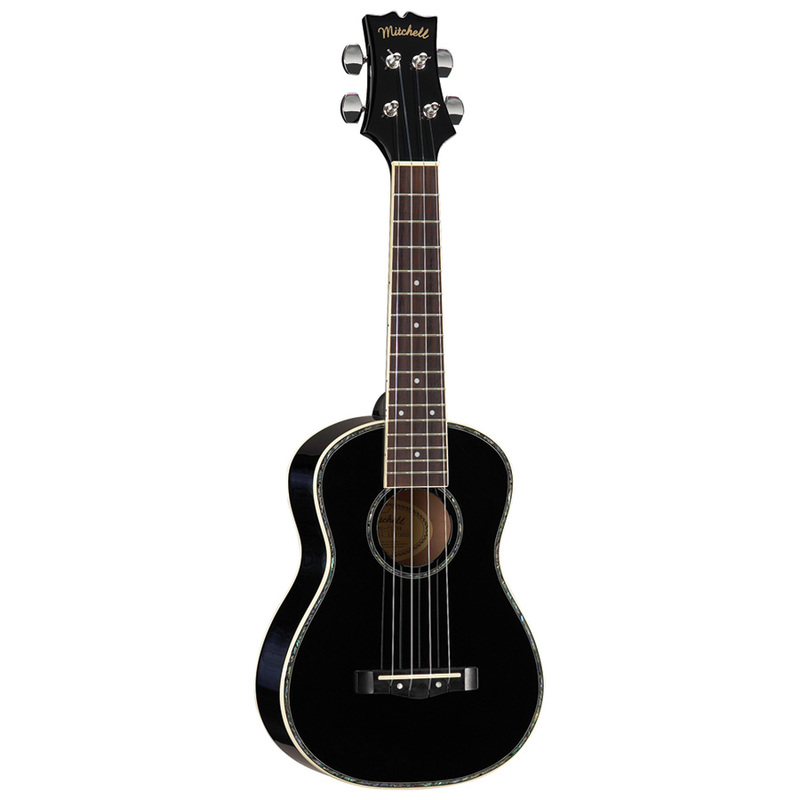 This MU75BK concert ukulele features all-mahogany construction that ensures warm tone and great projection. 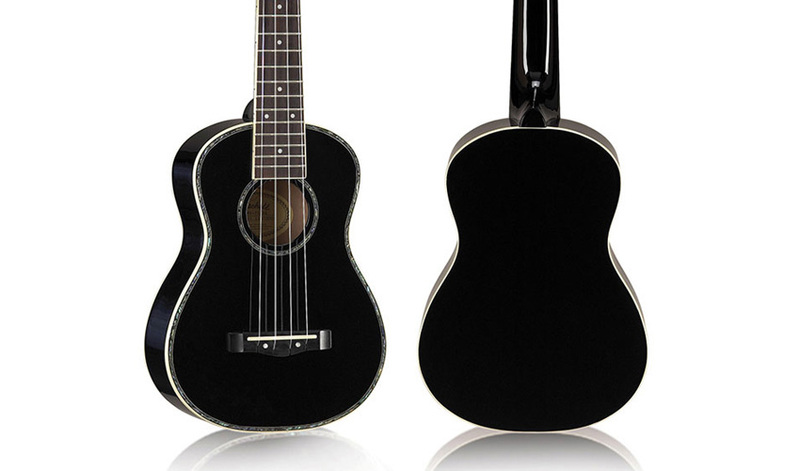 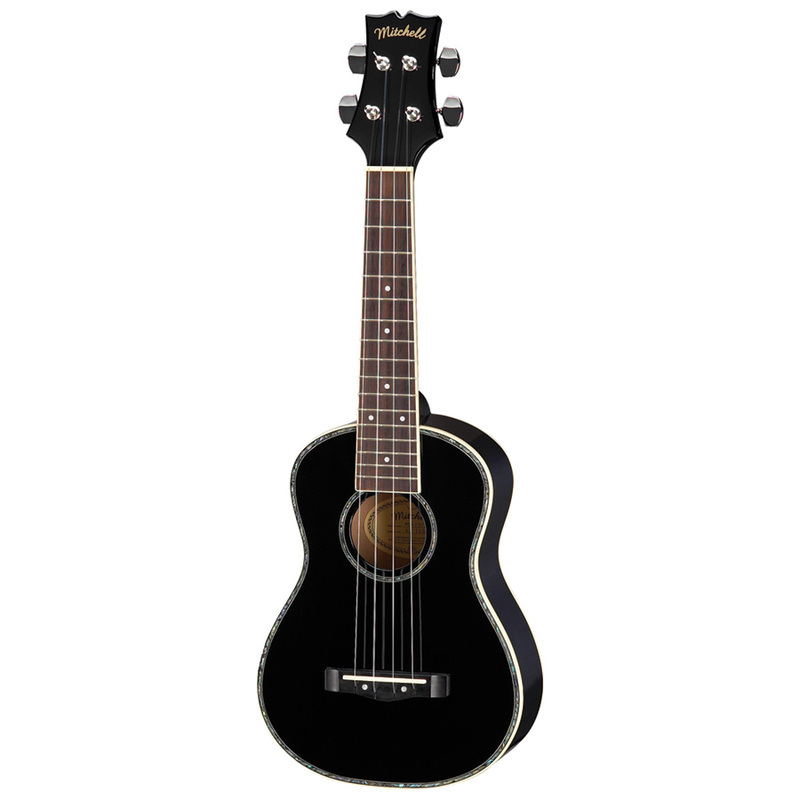 The brilliant gloss black finish gives it a unique look, while the abalone rosette and purfling further enhance the beauty of this instrument. 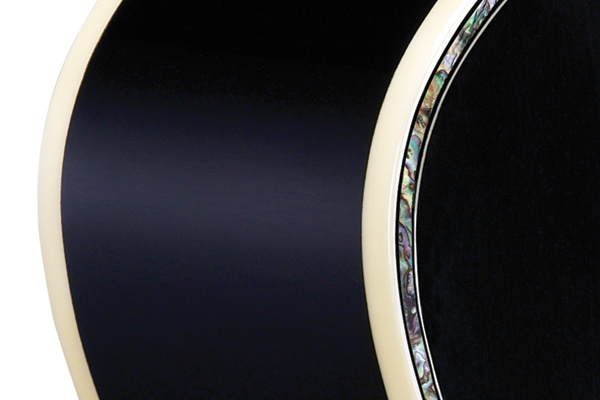 White binding with abalone purfling. 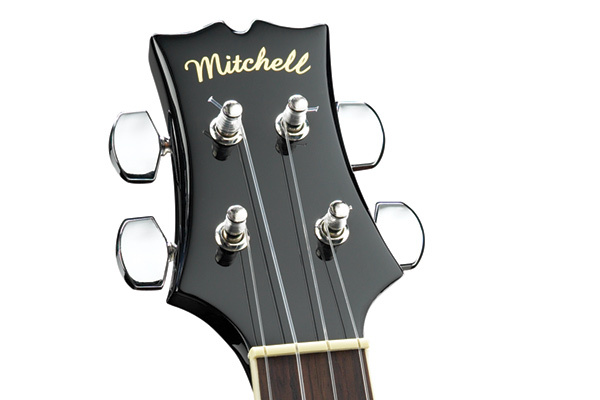 Attractive white binding complements the black finish. 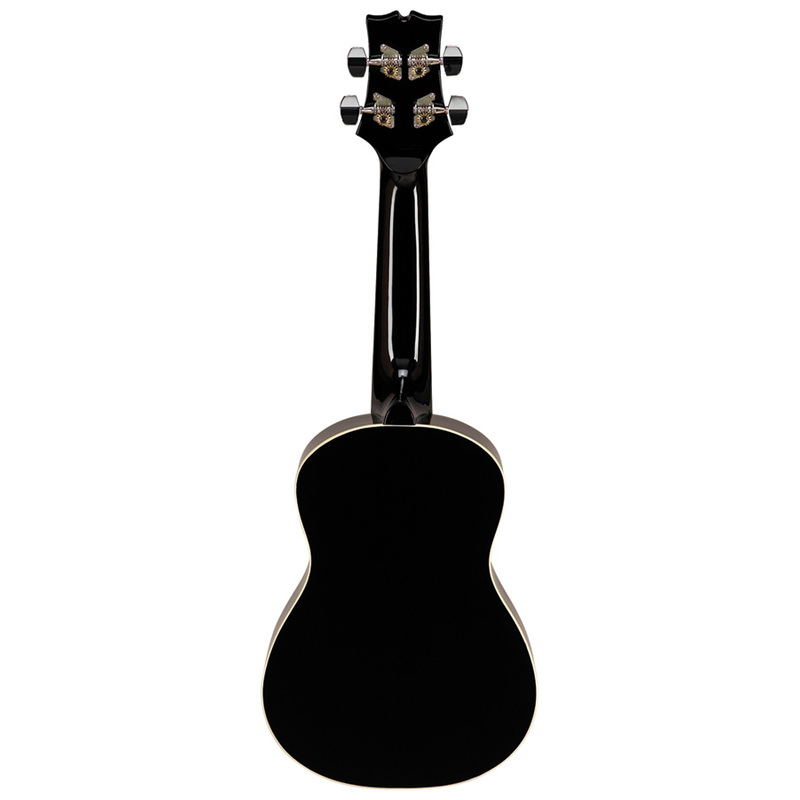 This MU75BK concert ukulele features all-mahogany construction that ensures warm tone and great projection. 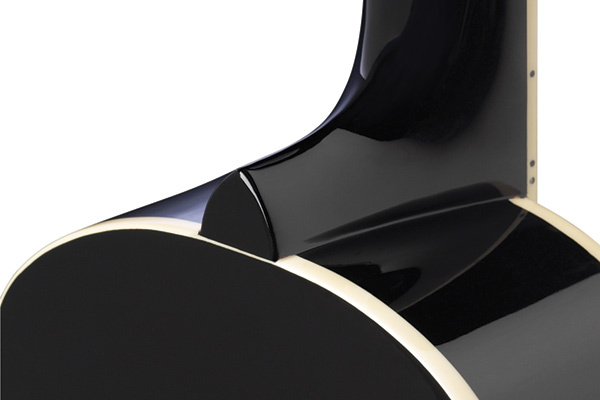 The brilliant gloss black finish gives it a unique look. 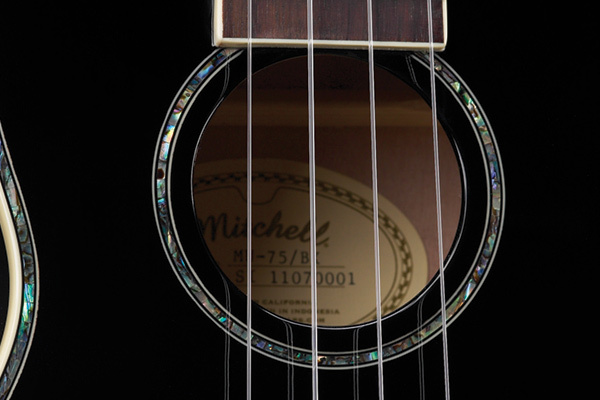 The abalone rosette and purfling combined with mother of pearl mini-dots gives the MU75BK a classic look, while the compensated saddle provides improved intonation and tuning.